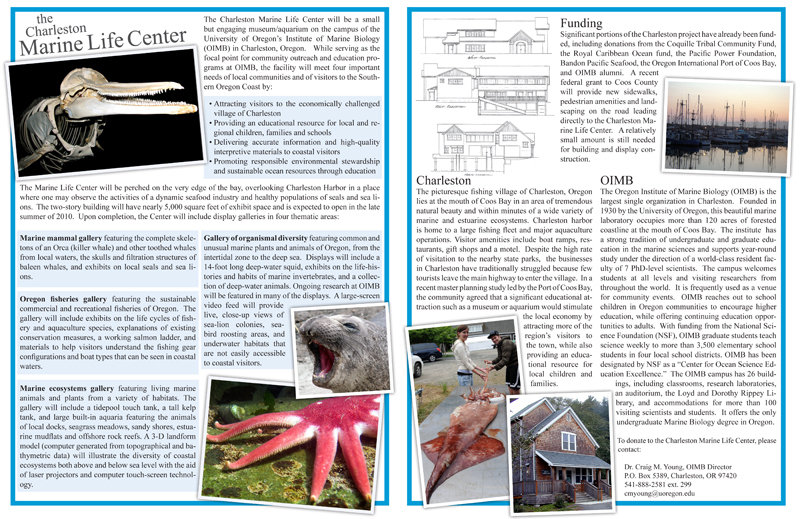 The Oregon Institute of Marine Biology needed some informational material to help raise funding for their new visitor’s center. We worked closely with the director of OIMB to create a brochure that properly accented their needs and easily displayed their strengths. Within a week OIMB raised tens of thousands of dollars with this brochure at the center of their fund-raising campaign.